This work was a unique collaboration for Capital Dance Project's 4th annual "Behind the Barre". 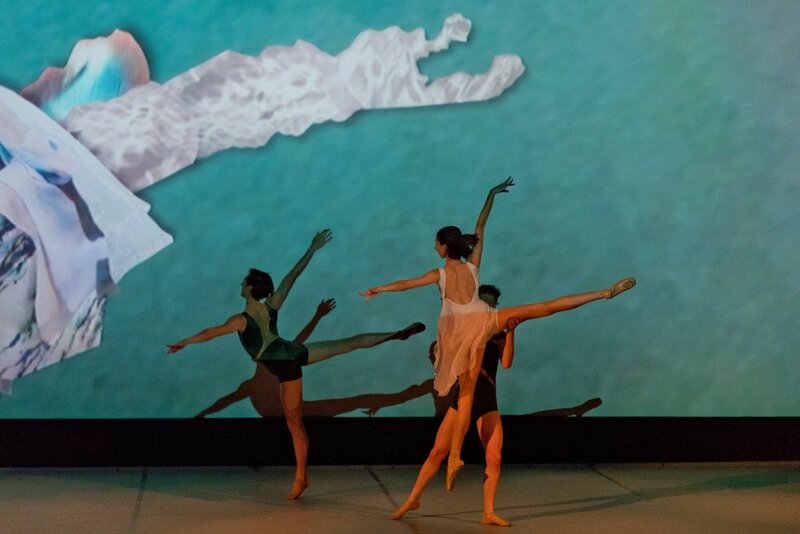 Choreographer Shania Rasmussen created a world premiere ballet and I developed an accompanying animation that was projected behind the dancers on the screen of the Crest Theater in Sacramento, CA. We both interpreted themes of the inseparable and entanglement in regards to one's sense of self as it develops in relation to the environment. Life's impact propels us forward, sometimes blooming and growing positively, sometimes warping us and causing conflict. The animation illustrates the ever-shifting struggle between the "you" that is at our core and life's events that can sometimes overtake us. The video is created through a process of analog collage and digital animation. Behind the Barre: Made in Sacramento, The Crest Theater, Sacramento, CA, August 10-11 2018.